Often times, companies that supply parts offer discounts for resellers, and for buyers who seek higher quantities. Normally, with other vendors you may need to provide some sort of proof that you are operating a business. Our new customers are asking us whether it is possible to get a reseller account to qualify for trade discounts. At LaptopScreen.com our philosophy is simple: if you register an account, and order 1 screen, all future orders will be discounted. If you decide to order 2 or more LCD/digitizers, you will get the discounted rate right away. This simple approach saves us and our customers time and hassle of creating a separate login page and providing more information. In addition to that, we encourage large quantity buyers to shop with us by offering free US/Canada shipping for orders with 10+ screens. In order to see what the discounted and regular prices are, simply open a listing up, and look to the right of the item description. 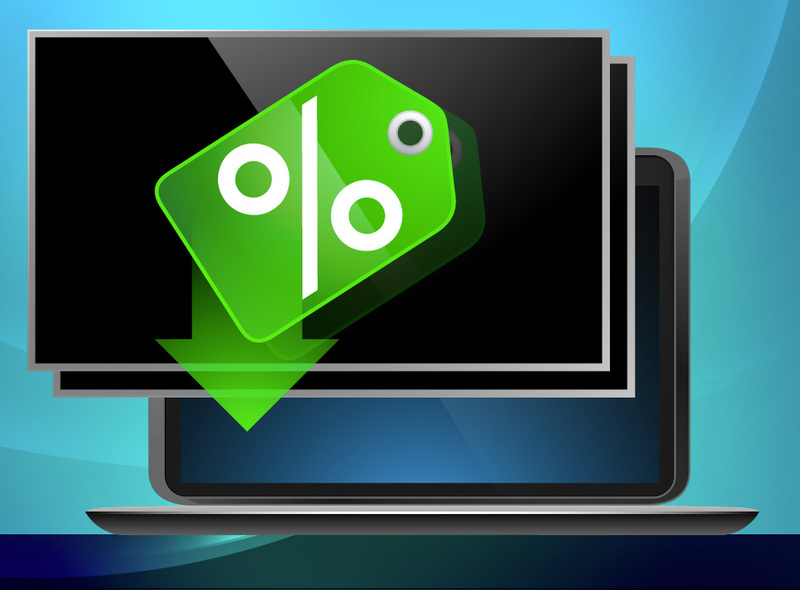 The regular price of the item is listed in black font; the discounted rate is listed in the green font below from the regular price (marked as “if total screens in cart 2+”). You do not have to purchase the same two items to qualify for the discounted price: it can be any two digitizers or LCDs, or a combination of both. 1. Items marked as “clearance” items are not discountable. 2. Tools, screen cleaners and suction cups do not qualify for discounts either, e.g. if you are buying only 1 LCD/digitizer + tools, and this is your first purchase, you will pay the regular price for the items you are purchasing. LaptopScreen.com does not offer any further discounts, coupons or coupon codes at this time. For more information, please see this page: Discounts. This website is more than unbelievable. Not only did I get onb here and have no problem finidng a screen for my laptop, but it was delivered to my house promptly. Then to top it all off there was a video on here to show me how to replace it and it went flawless. I just changed my first laptop screen ever and laptopscreen.com made it easy, affordable and stress free. Thanks! Thank you Crystal for brightening up our Monday!